She had the chance to make history. 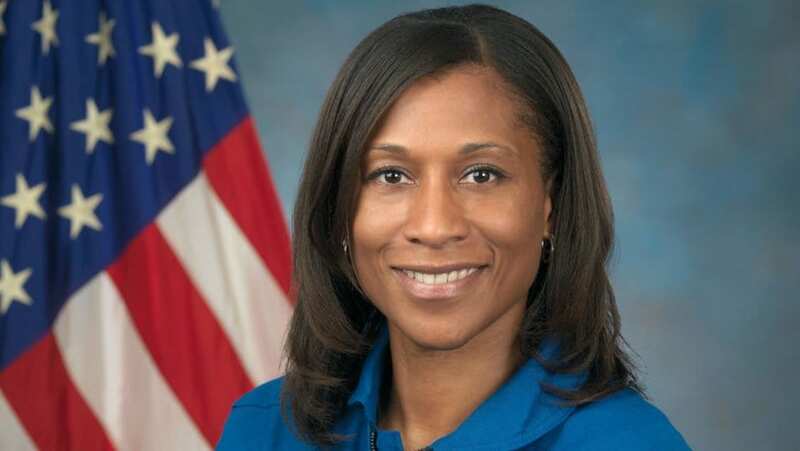 NASA Astronaut Jeanette J. Epps (courtesy of nasa.gov). The brother of Black astronaut Jeanette Epps claims racism is why his sister got booted from the International Space Station mission. If Epps made it for the June mission in her designated role as a flight engineer, she would have been the first African American crew member on the International Space Station. Last week, NASA announced that they Epps would not be on the mission and offered no explanation. Epps’ brother Henry Epps was not pleased with that lack of explanation and took to social media to advocate for his sister. In a since deleted Facebook post, Henry Epps says racism is to blame for his sister not going on the mission. The protective brother went on to take aim at the Trump administration for enabling racist and sexist environments. Henry Epps included a link to a MoveOn.org petition that demands NASA put Epps back on the International Space Station mission. The petition highlights Epps’ resume and implores NASA to reverse its decision. “Jeanette Epps, born in Syracuse, completed a doctorate in aerospace engineering in 2000. After graduating, she worked in a laboratory for two years before being recruited by the Central Intelligence Agency (CIA). The petition has more than 800 signatures. Jeanette Epps has made no statement about NASA changing her duties.